This week, they were off for days, and this morning while driving they turned back on. Very odd and, MPH is half important to see at night. Let me know your thoughts guys, i am ready to buy bulbs but only with the notion that will fix the problem not possibly fix it. Last edited by Prophecy99; 02-12-2019 at 06:18 AM. The base that the bulbs are housed in have fairly fragile leads that can bend over time (copper parts in the photo below). 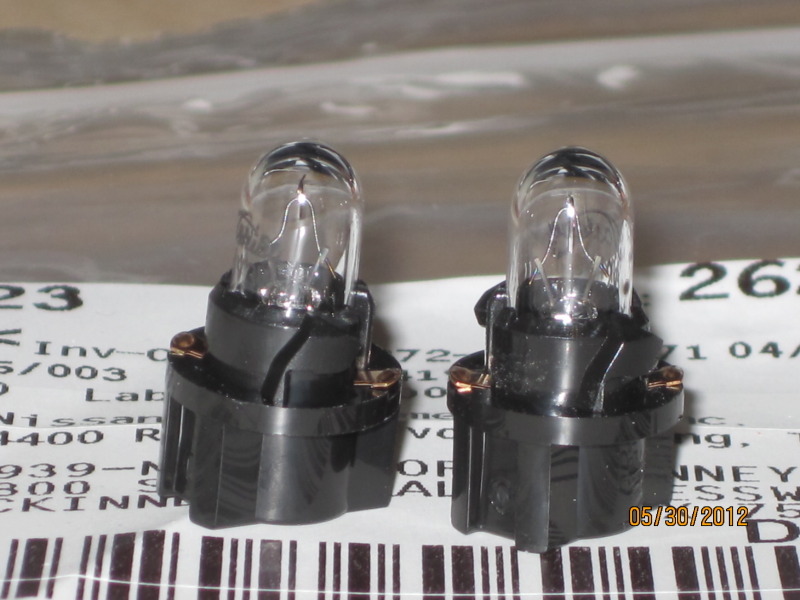 When I changed my bulbs out, it was somewhat difficult to get those leads bent perfectly so that they made full contact with the cluster's circuit board when they were installed. It takes ~10 minutes to remove the cluster to check, so I'd start there. The temperature can make them slightly expand/contract which could explain the intermittent connection. Last edited by LA02MAX; 02-13-2019 at 06:32 AM. No need to worry about load resistors, and anything else ? I would just go buy some sylvania long life bulbs and replace them all. 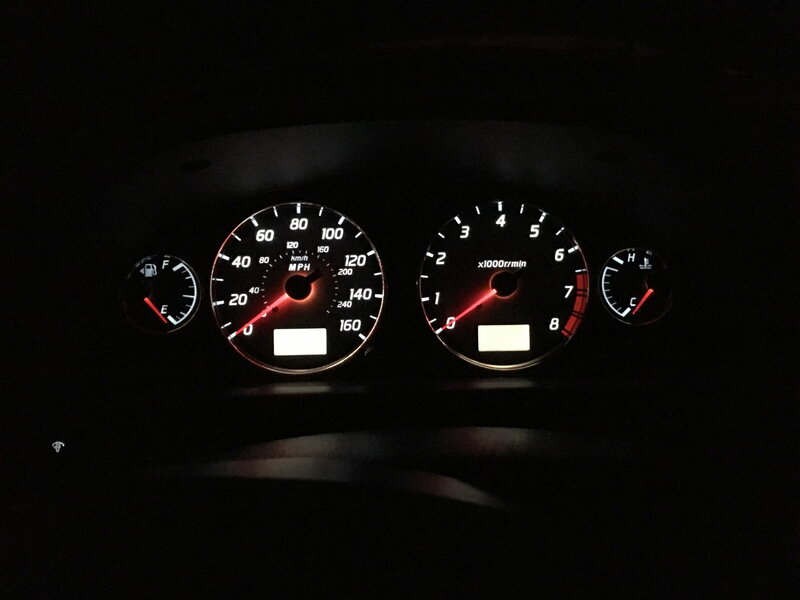 I don't know the fascination of LED dash lights for it just distracting when driving at night. And they have hot spots when installed. They still aren’t anywhere near as bright as modern Nissans (or most other makes for that matter)so they definitely aren’t distracting. And they don’t hot spot. The bulbs are, indeed, plug and play. Last edited by LA02MAX; 02-13-2019 at 06:25 PM. thanks for the post man !! also to note, yesterday drove one mile to supermarket lights were off entire drive, started up to go to the next destination and lights were on, then again on the way home for the 3rd trip lights were off, then today to work (4th trip) back on, it was almost like every other start up. and those are the exact lights I have on standby warm white for sure. and +1 i believe hot spotting and distractions are not an issue with these as numerous guys have posted results and feedback. Car pulls to either side intermittently!